We offer a blended method of leadership training that incorporates a virtual classroom, online e-learning, and tangible individual & group activities with support and knowledge from expert trainers & coaches. Participants get the same engagement, personalization and networking benefits of an in-person training program combined with the convenience, cost and time efficiency of an online offering. Participants: Who are Blue Ocean Leadership Training programs for? Blue Ocean Leadership Training is for Top, Middle and Frontline Corporate Managers in International companies who have a few years of experience under their belt and big dreams for the future. Is Blue Ocean Leadership Training right for you? Are you a leader of a team, an organization or a start-up in search of ways to boost your performance? Have you read a number of business and leadership books and articles but still can’t figure out what your next steps are to become a leader? Are you looking for ways to explore your leadership potential? We will help you take responsibility for your leadership development and give you practical tools and a plan for success. We will help you turn your leadership into action and get recognition and success. 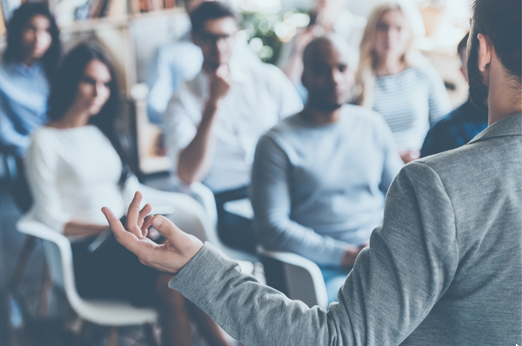 Our Professional Leadership Training Programs typically last 10 weeks but can be designed to be shorter or longer, depending on the needs of the participating managers or training manager. Because of our unique blended online methodology, we are able to keep our costs lower than those of in-person trainings. Please Contact us to get an accurate estimate for the training program you seek.